Today was the first day in AGES that I got myself outside and actually went for a walk/run. I often call it that but who am I kidding? It's almost always a walk. But I actually threw some jogging into the mix today, and guess what? I not only survived - but I liked it! I did a weird pattern of walk 5 minutes, jog 5 minutes, repeated and then walked a final 15 minutes. It's totally not what the training people at Run Like a Mother recommend for novices like me, but sometimes you have to give yourself a little boost to remind yourself you CAN do it. I'm lucky enough to be among a handful of bloggers participating in the annual Run Like a Mother event this year on Mother's Day in the Raleigh, NC area. I'm actually supposed to be participating in the training program, but of course, my schedule is completely out of whack. I haven't made it to any of the training events - but I'm trying to follow along with the details they gave us when I made my training materials choice. What's really cool about this event is that it's just for women. And the mission of Run Like a Mother is geared towards women. The mission of Run Like a Mother® is to fuel a woman’s journey toward health and wellness. Empower with education and training programs. Inspire with communities, events and races. Enable through programs and partnerships. Run Like a Mother® Isn’t Just a Race, It’s Our Way of Life. who share a desire to live healthy, balanced lives. We offer support, motivation, inspiration and education. The tee is nice, too, but I don't have one yet as the one I got was too tiny. So if you're lucky, you might be a local mama and I might pass along the extra t-shirt I have to one of you! Just let me know what your running goals are for 2014. Or your fitness goals, if running isn't a part of them. 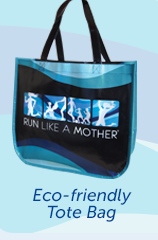 And don't forget to check out the Run Like a Mother race and training programs over on their website. There's a coupon live right now for a discount on race registration - but hurry! - it's going to expire soon. And you don't have to live in my area to participate. There are several events across the country for you to look into and consider attending. Each event will also have a 1-mile fun run for the kids! To find out more about Run Like a Mother you can head over to the Run Like a Mother Facebook page or check them out on Twitter @Rlamrace. Nothing like a mission to get us motivated. When my kids were little I did a daily walk pushing a double stroller, great exercise. When they got too big for a stroller I did a walk/run like you. Except the walk was all the up-hills and the run was all the down hills and flat sections. Glad you're Running Like A Mother -- that's awesome. I'm trying to get myself back in shape, too. I wish I had a crew.